I’m glad I wasn’t there when Jesus was crucified. Whether I would have believed in Him or not, His cry to God is absolutely heart-wrenching. I can’t even make it through the scene in Saving Private Ryan where the dying soldier is blubbering for his mother. It breaks my heart. How much more so does Jesus’ cry pierce your soul, when He cries, “’Eli, Eli, lema sabachtani?’ that is, ‘My God, my God, why have you forsaken me?’” (Matthew 27:46) Jesus is crying out to His heavenly Father, asking why He has abandoned Him. Jesus quoted this directly from Psalm 22, which is the plainest prophecy of Jesus’ suffering and death in the entire Bible. Even in this poignant appeal, Jesus is quoting and fulfilling Scripture. The words of Holy Week hymn Cross of Jesus, Cross of Sorrow (Lutheran Service Book #428) refer to Jesus’ abandonment by His Father. Verse 3 is as follows: O mysterious condescending! O abandonment sublime! Very God Himself is bearing all the sufferings of time! The choice of words there intrigues me. “Abandonment sublime?” Really? That sounds kind of like an oxymoron to me. Most of us think of sublime as something too wonderful for words, like a “sublime dessert.” Is that what the hymn writer means? Well, in one sense, yes. Jesus’ suffering on the cross, though terrible for Him, resulted in the salvation of the entire world. God punished Jesus for our sins so that we don’t have to pay for them on our own. That fact certainly is too wonderful for words. But there’s another meaning of sublime. Webster gives us the following option when defining the word in question: complete, absolute, utter. I believe that’s the meaning in this context. Pause a moment to think about that. 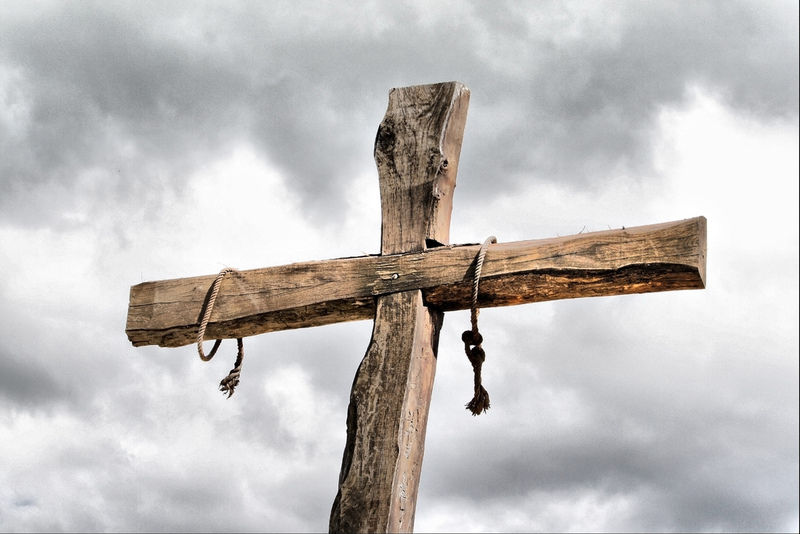 When Jesus was abandoned by God the Father on that cross, God abandoned Him completely, absolutely, utterly. Hell has been defined as complete separation from God. From this perspective, Jesus literally suffered hell for us on that cross. He was abandoned by God so you need never be. When he “descended into hell,” as we confess in the Creed, He didn’t do so to suffer the pangs of hell. He’d already suffered that on the cross. No, Jesus descended to hell to proclaim His sublime victory over Satan and his host. Yes, Jesus suffered complete and utter abandonment on that cross. He suffered it for you. And He won eternal life for you in the process. Someday you will live with Him forever, with joy and peace sublime.